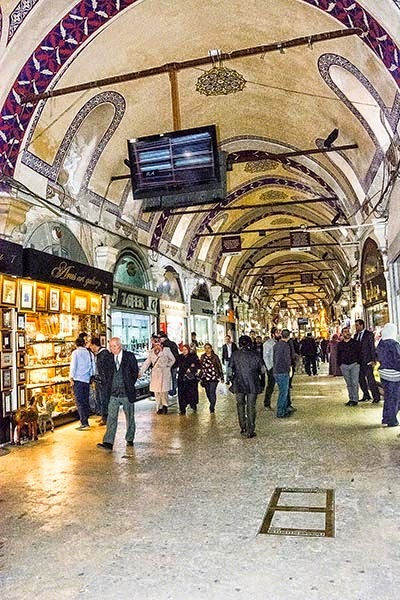 ﻿﻿In Turkish the Grand Bazaar is called Kapalı Çarşı, which means “Covered or Closed Bazaar”. 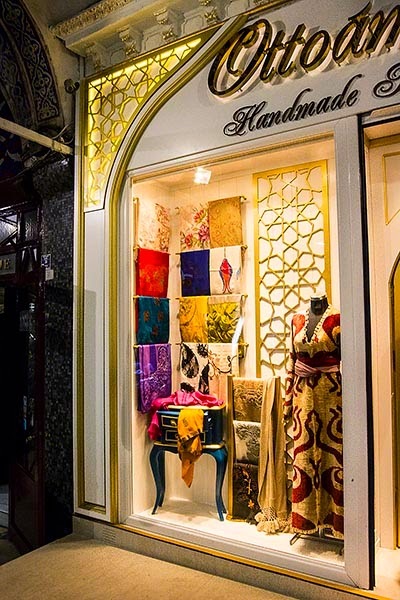 It is not the oldest bazaar in the world – a better claim would belong to Tabriz, Persia, a major stop on the ancient Silk Road. Even though Constantinople was the main terminus of the Silk Trade Routes (see the Silk Routes Map), the Grand Bazaar was only started in 1455, just after the Ottoman conquest of Byzantium. Of course, there were commercial “forums” before then but the Grand Bazaar was covered. Perhaps we can say this was the oldest indoor shopping centre. It’s hard to believe we are back in Istanbul for our second four-day sojourn. Eight days may seem like a lot of time but in some ways it feels like we are just scratching the surface. For maps and travel advice we would recommend the book Rick Steve's Istanbul and the free Quick Guide Istanbul (author Serif Yenen), which I believe we got at our fabulous hotel, Sirkeci Mansion. The Quick Guide is a set of cardboard brochures including a glossy map and info on the Grand Bazaar. 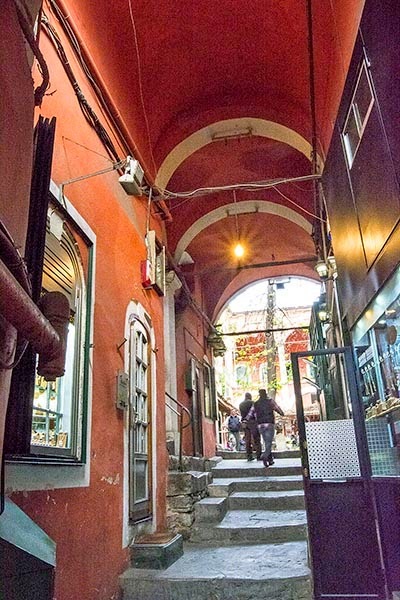 The Grand Bazaar west side can be reached by tram at the Beyazıt-Kapalıçarşı stop. 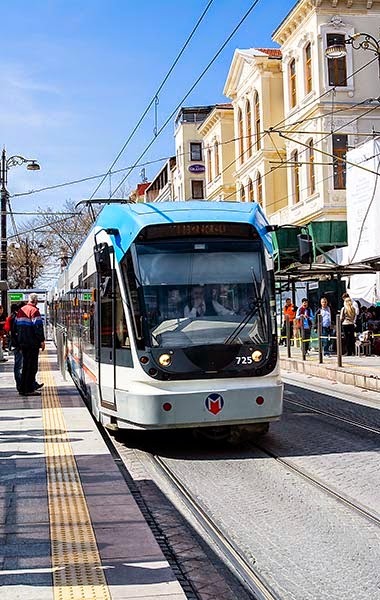 For the east side, we hopped on the modern electric tram to the earlier Çemberlitaş stop. 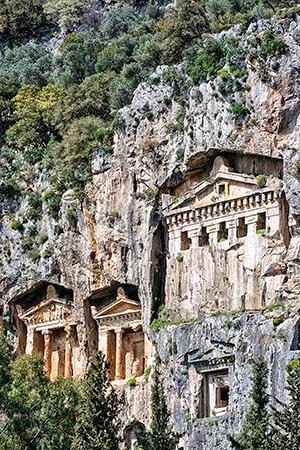 The first thing we saw was the Çemberlitaş column. 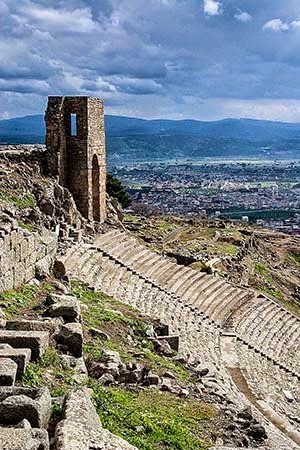 It was constructed by Emperor Constantine in 330 CE to celebrate the town Byzantium being renamed Nova Roma and becoming the capital of the Roman Empire. However, the people called it Constantinople (city of Constantine) and that name stuck. 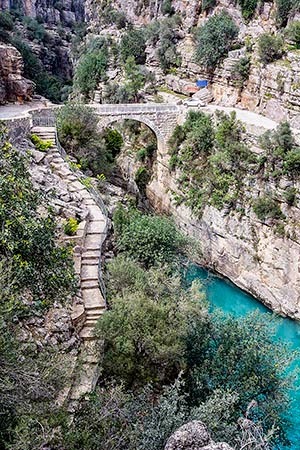 As discussed in the Amazing Ancient Rome Walk, the Roman Empire did NOT fall in AD 476. Rome the city fell. The rest of the territory was still called the Roman Empire. The term Byzantine Empire is a 16th century German invention: it never existed. 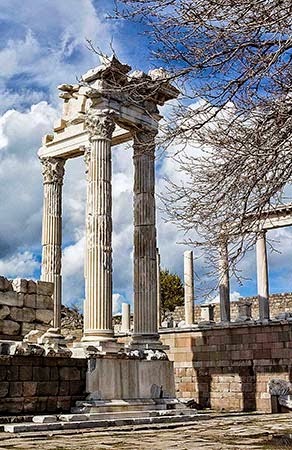 The Çemberlitaş column was so damaged by an earthquake in 416 CE that it is on life support with iron hoops holding it together. The top of the column used to support a statue of Constantine that lasted until it was toppled by a storm in 1106. The column is ugly but it’s the last remnant from Constantine, who put Istanbul and Christianity on the map and thus changed world history. In fact, the column marked the centre of the forum, Constantinople's main square. 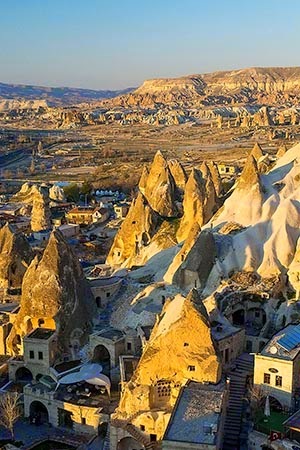 Interestingly, Constantinople was situated on seven hills just like Rome! The comparison was intentional since it was originally called Nova Roma. ﻿The first hill contains Hagia Sophia and the Topkapi Palace. 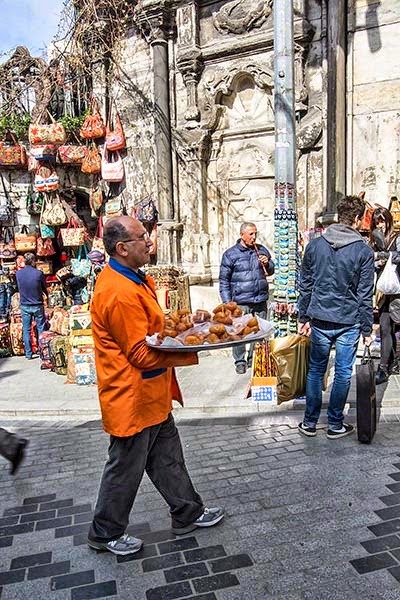 The Grand Bazaar is on the second hill on the site of a former palace and the Forum of Constantine. The third hill houses the Süleymaniye Mosque. At its peak in 200 CE, it is estimated that Rome had 1,000,000 people. This decreased dramatically due to various plagues brought in via the Silk Routes and then the fall of Rome. 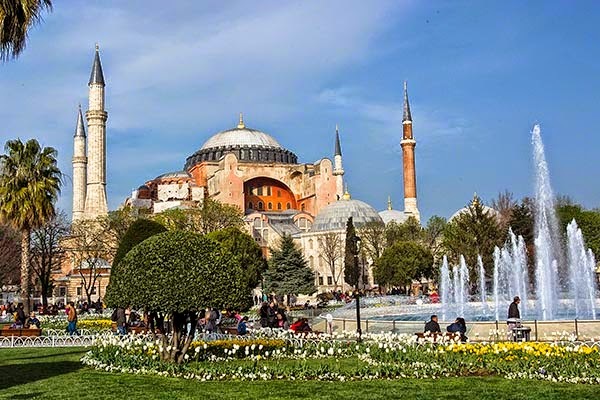 Constantinople then became the largest and wealthiest city of Europe up until its zenith in the 12th century with a population of around 600,000 people (600 CE). Venice was both a trade partner and adversary of the Byzantine Empire, sacking Constantinople in 1204, seizing many of its Mediterranean territories, and carting off many treasures, including the metal decorations around the Çemberlitaş column. Venice was one of the three largest cities in Europe in 1171 with a population of a mere 66,000 people. Nuruosmaniye Walking north towards the Nuruosmaniye Mosque (1755), we entered the oldest gate, Nuruosmaniye, near the Nuruosmaniye Köftecisi (meatball shop). 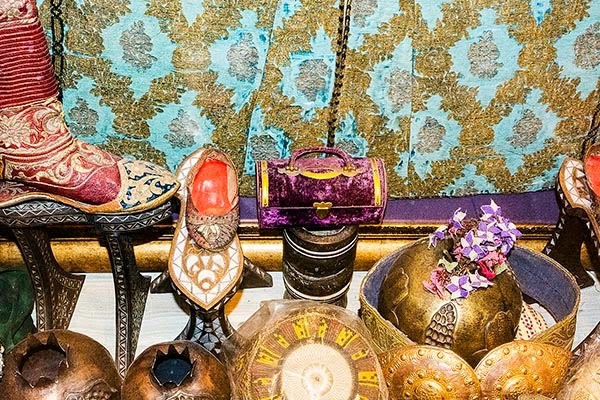 Nuruosmaniye means sacred light of Osman, the name of the family that became known as the Ottomans. 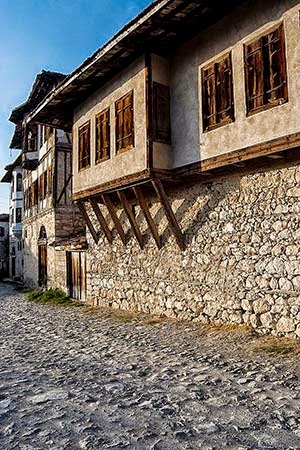 The gate leads to the main east-west street, Kalpakcilar Caddesi or Hat Maker Street. Today this is jewelry alley. The Ottoman Empire not only controlled a vast area across three continents, but had complete monopoly of the former Silk Routes. 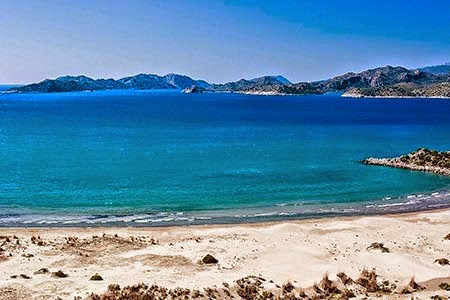 As the hub for Mediterranean trade, it is logical that this led to an enormous shopping mall (47,600 sq. m.) covering 61 streets. Each street was dedicated to a particular trade or bedesten. 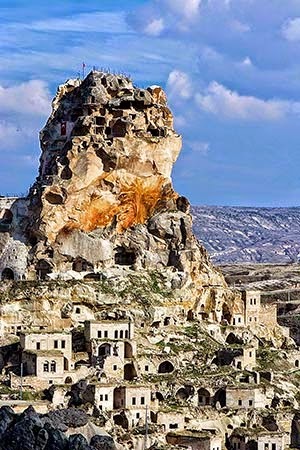 Because the Grand Bazaar was a caravansary, there used to be places to house the camels and the people. To ensure security, the bazaar was closed at night. There are many hans, multi-storey buildings surrounding an inner courtyard. The lower floor would be for animals. In the middle of the coral-coloured Zincirli Han is a courtyard with a marble fountain for washing. This han specialized used to specialize in chains, zincir. Today it houses down-to-earth jewelry shops and we did not get hassled while in this han. 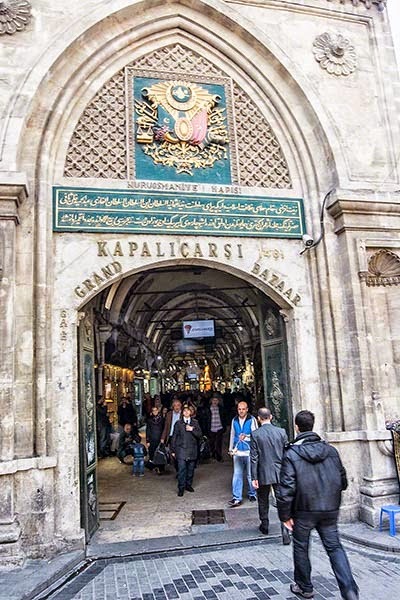 The Grand Bazaar is an overwhelming patchwork of 3,000+ simple shops and elegantly decorated boutiques. We generally followed the self-guided tour in Rick Steve's book. There are some signs hanging from the arched roof above you at major intersections but it’s good to get off the main streets. 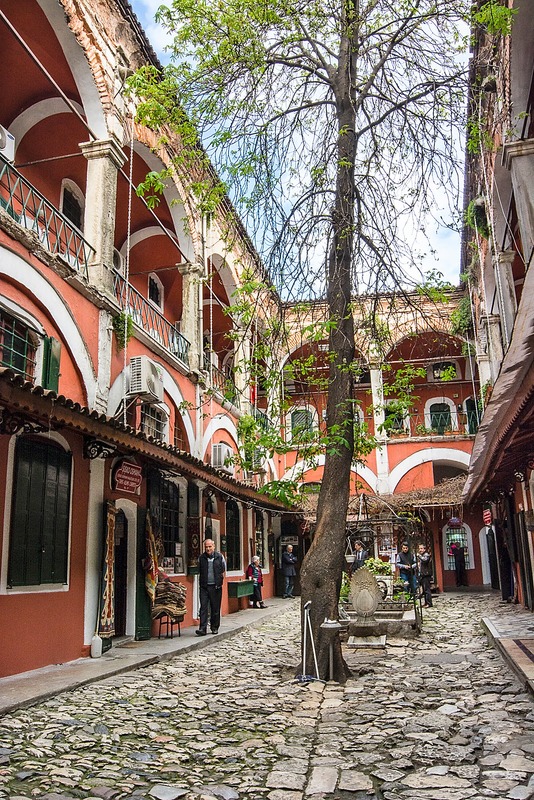 Make sure you go off the main streets into the side alleys and courtyards. 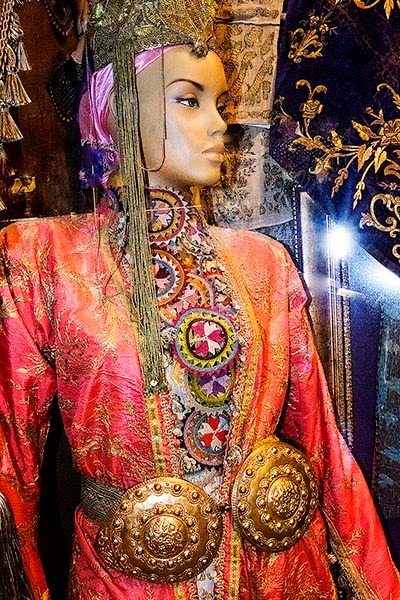 There were amazing things to see – glinting gold, shiny silver, and suave silks. I cannot see any Turkish woman wearily such slinky dresses, at least not in public. 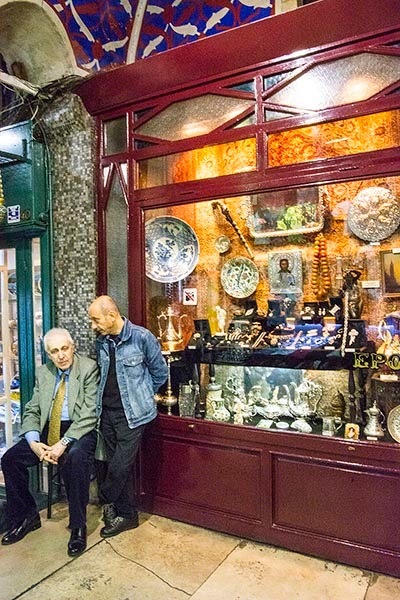 The photos show three of our favourite shops. 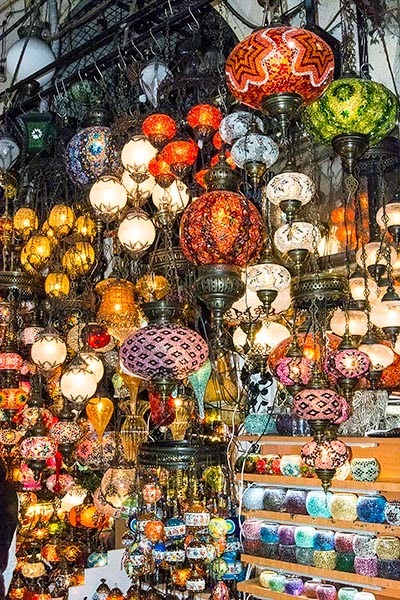 The classic multi-coloured lamps made of glass can be seen throughout Turkey. 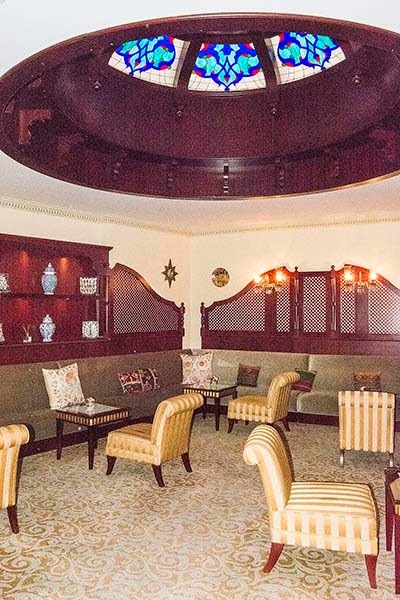 In fact, many hotels and restaurants use them for decorative lighting. Because Islam forbade images in the mosques, artists excelled in calligraphy and geometric motifs. 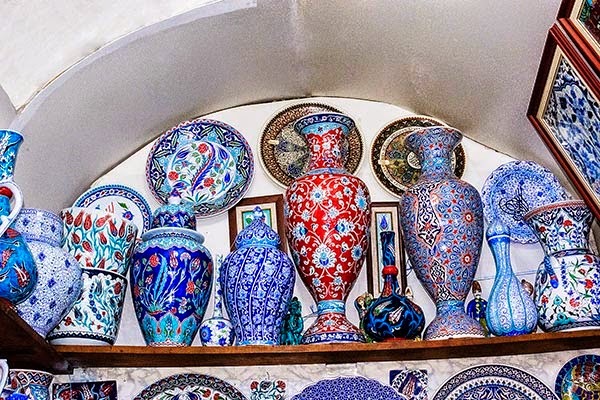 There is a lot of overpriced pottery for the tourists. One store in the north part of the bazaar was spectacular. While the prices were high - especially for the large vases and other pieces – the quality was very high as well. 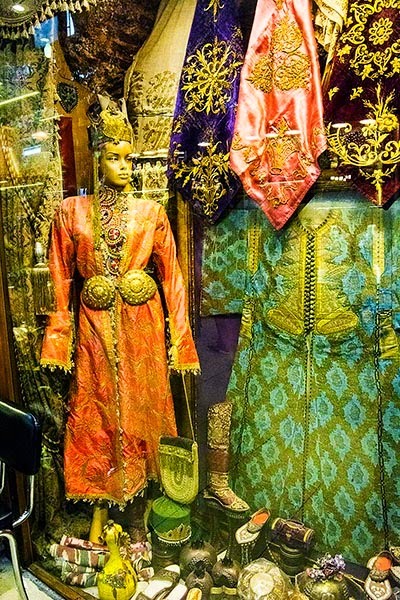 Another shop had incredible Ottoman clothing, supposedly antique. We were skeptical until the owner said the display robes were not for sale. Nevertheless, it was hard to believe that the displayed clothes were that old, given their great condition. In 2014, it was the most-visited tourist attraction in the world with 91,250,000 visitors – that’s an average of 250,000 shoppers each day!